Global comms agency Hume Brophy has established its first full-time base in Hong Kong with the acquisition for an undisclosed sum of Madaket+Co, a consultancy which also has offices in New York. The move doubles Hume Brophy’s staff numbers in Asia, with the six-strong Madaket team in Hong Kong collaborating with Hume Brophy’s existing six employees in Singapore. Hong Kong operations will continue to be led by Thomas Kwan, who becomes director, Hong Kong. New York-based Josh Nova, a former senior Ketchum executive who founded Madaket in 2013, becomes MD of Hume Brophy US. 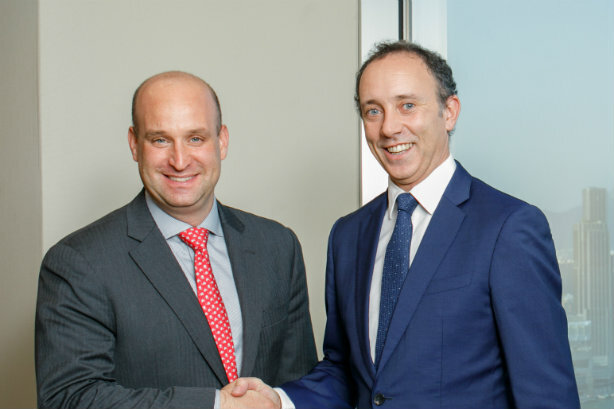 Reporting to Hume Brophy CEO Conall McDevitt (pictured above), Nova will lead a five-strong team, comprising Madaket staff and existing Hume Brophy consultants in the city. The acquisition means Hume Brophy, founded in Dublin in 2005 by John Hume and Eoin Brophy, now has a presence in Brussels, Dublin, London, Paris, Frankfurt, Singapore, Hong Kong and New York. The agency specialises in PR, investor relations, public affairs, and corporate and financial comms. It employs around 120 people globally. McDevitt - a former member of the Northern Ireland Assembly who was the SDLP's director of comms during the Good Friday Agreement talks - said: "This acquisition is a strong statement of intent to continue building an international, independent communications and corporate affairs firm. "Bringing Madaket into the Hume Brophy network strengthens our offering across the world’s three biggest capital markets – and gives us strong, deep and expert-led teams in every key global hub." Madaket specialises in clients in the financial services and technology sectors, offering international corporate and financial comms. Nova said: "I have long felt that being part of a bigger and global offering is the best way for this team and our business to reach its potential, but it was crucial that we shared a philosophy of dedication to our clients, creative thinking and entrepreneurship in our people and strategic vision in our approach. We have found that in Hume Brophy." Hume Brophy recently appointed former Northern Powerhouse and International Development Minister James Wharton as a senior adviser in the UK, focussing on Brexit.